This week's 2Peas Photo Challenge theme is "Handmade". 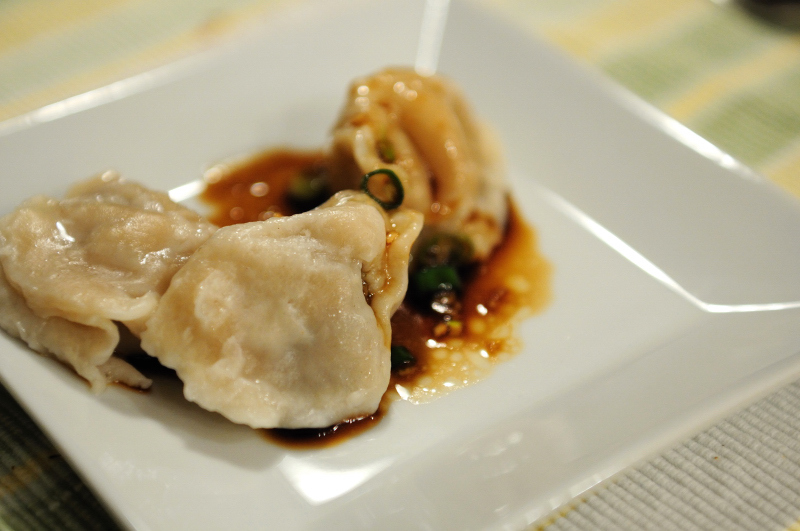 About once a year, we'll make Chinese dumplings by hand. Well, these are not handmade - store bought and boiled. Oh - the sauce was handmade - minced garlic, green onion, soy sauce, vinegar and sesame oil.